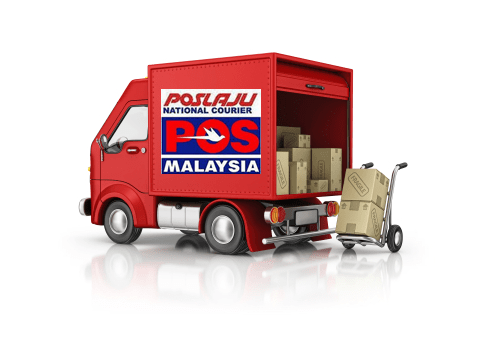 Pos Laju is the largest courier in Malaysia, with the widest nationwide network covering 80% populated areas. In addition to those convenient domestic services (Next Day Delivery, Same Day Delivery, Pos Parcel, Pos Laju Pack, Pos Ekspres, On-Demand Pick-Up, and Time Certain Delivery), it also provides international express services to 232 countries worldwide through EMS (Express Mail Service) and affiliated global couriers. It’s only for Pos Laju package tracking with info provided by Pos Laju. It’s a universal tracking tool which can do Multiple packages tracking all in one place. There shows package info from both origin country and destination country. You can compare with each other and get more detailed shipping status. Different from domestic delivery, international shipment may take longer time due to customs procedure and airline arrangement. So it may not be as fast as you expect. The shipping info can only be updated after your package being scanned at a given point. If your package is in transit between two points, no update is normal, which doesn’t mean your parcel is sitting. If you’re anxious about your package, try to contact the local carriers. 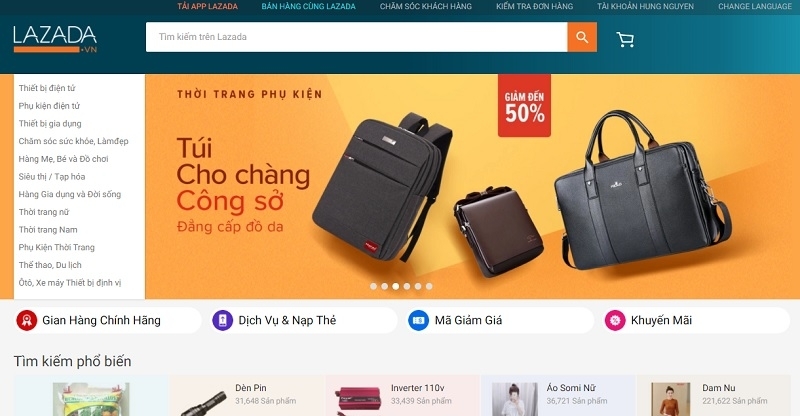 Launched in 2012, Lazada is the number-one online shopping and selling destination in Southeast Asia – present in Indonesia, Malaysia, the Philippines, Singapore, Thailand, and Vietnam. Focused on delivering an excellent customer experience, it offers multiple payment methods including cash-on-delivery, comprehensive customer care and hassle-free returns through its own is majority owned by Alibaba Group Holding Limited,. 2. View “My Orders” or use Lazada’s own package tracker :tracker.lel.asia. 3. Track from the third party courier will be available after 24-48 business hours after your order has been shipped out. It depends on your delivery dress, your package size and weight. International shipping fee may vary depending on the location of the seller. You can check your shipping fee on the Product Page and during Checkout process in the Order Summary box. Is there any domestic area which Lazada cannot deliver to? Lazada Philippines can deliver to all serviceable areas. However, there are still some geographical restrictions. If our couriers are not able to deliver to your area, we will inform you through call right after you place your order. For orders within Metro Manila, they deliver within 7 business days upon finalizing the full payment. For orders outside Metro Manila, they deliver within 12 business days with the exception of some remote areas. Is my package available for tracking? How to find my tracking number? *FCPIS tracking available only to: Australia, Belgium, Canada, Croatia, Estonia, Finland, Germany, Great Britain and Northern Ireland, Hungary, Israel, Latvia, Lithuania, Malaysia, Malta, Netherlands, New Zealand, Singapore, Spain, and Switzerland. Look for your tracking number in the shipping confirmation. Scan the body of the email until you see a long string of numbers. Most tracking numbers are between 10 and 30 digits long, and each one is uniquely generated for a specific order. You'll use your tracking number to keep up with the status of your shipment. 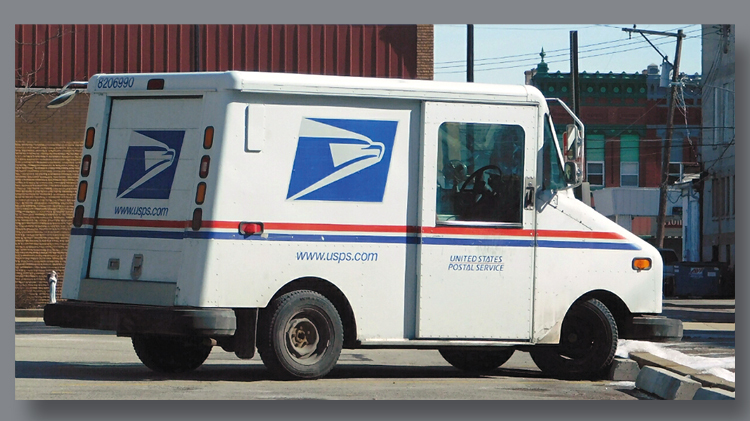 Online: Use USPS Tracking on the United States Postal Service® website. By text: Send a text to 28777 (2USPS) with your tracking number as the content of the message. Standard message and data rates may apply. By smartphone: Download the USPS Mobile® app for iPhone® and Android™. To obtain tracking information on an international package, customers can call 1-800-222-1811. For telecommunications device for the Deaf/Teletypewriter (TDD/TTY), call 1-800-877-8339. Listen to automated information 24 hours/seven days per week. Third Party tracking tool: Many third-party websites provide package tracking service (including USPS tracking) with other useful features which make it much easier for those online sellers to manage a great number of orders. Of course, it works well for a single tracking, too. Article has been delivered with a recorded time and date of delivery. An unsuccessful delivery attempt was made by your carrier today. Item arrived for delivery; however, it has not yet been processed for delivery. Carrier did not have access to mailbox to complete delivery. Your carrier was unable to deliver to your address. If you need to change your address, forward mail service is right here for you. Whether you’re making a long-term move or just using your new address for a few months, your mail can follow you. It's recommended to fill out your forwarding request at least 2 weeks in advance. You should receive mail at the forwarding address 7 to 10 Postal business days after you submit your request. Speaking of parcel tracking, no matter carried by Royal Mail or other couriers, there are lots of ways to do that, including tracking services provided by the couriers and using other tracking tools with additional functions. Anyway, first of all, you have to get a tracking number which may be also called a barcode or a reference. # 1 How to get a tracking (reference) number? This will be 9-27 characters long and will be on your Post Office® receipt and the label showing the service used. If you’re using a Customer Collection, your despatch book or manifest should list the reference numbers of items collected. It will be given to you by the sender or seller. 2. You may have to complete a quick CAPTCHA test. This is a security measure and makes sure you're human and not a bot. 3. Pick the boxes containing the images you’re asked to identify and hit 'Verify'. 4. You can now see tracking information for your item. Why isn’t my reference number recognised by Tracking your item? （1）The number entered is correct. （2）If you're the recipient, check the sender has given you the right reference number. （3）The reference number is for an item sent with Royal Mail, using a service that offers tracking. （4）If the item has been sent. The sender might have created a tracking number, but not yet submitted the item into our network. Please try again later. What can I do if I’ve lost my reference number? Contact the sender and ask them to give you the number. Check your order confirmation or invoice. It might contain your reference number. Or try contacting the recipient. They’ll be able to tell you if they’ve received the item. Unfortunately, if you sent your item at a Post Office® and you’ve lost the receipt or the tear-off section from the label, they won’t be able to tell you the reference number or use any other information like a name or address to track items. Without a reference number, you won’t be able to track your item. What does the Royal Mail tracking message mean? When you are tracking your item, it gets scanned at various points in its journey. You’ll see this information when you use Track your item. The status in Track your item will be the most up-to-date information we have. The number of times your item is scanned depends on the service used. For some services – including Signed for® 1st Class and Signed for® 2nd Class – items can be scanned twice: when the Post Office receive and deliver them. This could mean the status of your item doesn’t change for a few days. Don’t worry though, it’s on its way. Most tracking information is easily understandable, but some of them can be confusing. Here are some of the most common terms and what they mean ( quoted from Post Office® ). We’re expecting it - The sender has let us know this item will be with us soon, but we haven’t received it yet. We’ll update the tracking information when we receive it. We’ve got it - Your item is in our network. We’ll update the information as it moves through our network. If the service used only offers delivery confirmation, we’ll update the status when it’s been delivered. Your item was posted at the Royal Mail Customer Service Point - Your item was dropped off at one of our Customer Service Points, the message will include the location, date and time. We’ll update the information as it moves through our network. If the service used only offers delivery confirmation, we’ll update the status when it’s been delivered. Internal exception occurred - We’re experiencing system issues. Please try again later. In transit - Your item is on its way through our network. This message can cover several stages of its journey. You’ll see more details of its location and status when you enter your reference number. Pending - This can cover several possible situations in your item's journey, including if we haven't received the item yet. You’ll see more details specific to your item when you enter your reference number. Ready for delivery - Your item has reached the local delivery office. We’ll try to deliver it as soon as possible, unless there’s a service like Keepsafe or Redirection set up. We’ll update the status when we deliver or attempt to deliver the item. Your item was delivered - We've either delivered it to the address on the item - this could be your home address, work/business address, or the address you've arranged to collect it from - or we've left your item with a neighbour. If we leave your item with a neighbour - the message will tell you which neighbour, we'll also leave you a card confirming the details. If your item is being delivered to a work address or business, there may be some instances when we can't deliver as addressed. If you haven't had the item or a 'Something for you' card, please check with your colleagues or the post room to see if someone has accepted the item on your behalf. Your item was delivered to your requested Safeplace - We've left your item in your designated Safeplace, we'll also leave you a card confirming the details. Find out more about Safeplace. The item was sent using a service that does not provide a copy of the signature. The signature might have been taken on a confirmation of delivery card. We aim to get these signatures online within 72 hours of delivery, but you’ll usually see it much sooner. Find out more about signatures. Retention Item - Some business addresses have a Retention Service to cover days when they’re not open. We won’t deliver to them on these days. Instead, we’ll hold on to the item and deliver on the next working day, or according to the business’ instructions. We could not retrieve your details - We’re experiencing system issues. Please try again later. Collected - The recipient has picked up the item. OE - Office of Exchange. On international deliveries this means the item has arrived at the import customs office. Which services can be used to track your item with? When you’re sending something important or valuable, you need to know it’s secure at every stage of the delivery. With our Special Delivery Guaranteed services your item will arrive safely, and on time, or your money will be given back. Royal Mail Tracked 48® combines cost-effective UK-wide delivery with online tracking, so you can keep tabs on your parcel’s progress. 2-3 day parcel delivery with online tracking. Free collection and free management reporting. When you want to send something overseas quickly and need some extra peace of mind, International Tracking and Signature services could be the answer. Any Other Simpler or More Effective Alternatives? Comparing to the tracking services official site offered, using third-party tools may be much more convenient for you to track your items especially when there are a great number of them carried by different couriers. By entering your tracking (reference) number, you can track the Royal Mail item and know the exact shipment status marked by a smart identifying system. Many third-party parcel tracking tools can do much better and more work than those normal methods mentioned above. 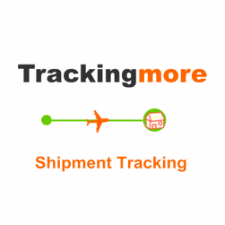 Trackingmore is one of the most useful ones which allow you to track one or multiple items carried by different couriers (covering 500+ couriers). It works well for both online shopping individuals and online sellers. For all online sellers, a big day the year -- Black Friday is coming soon. However, you can't just sit and be waiting for customer's coming. The marketing battle starts! Following ideas may do you a favor. Creating a sense of urgency can be a powerful method which pushes shoppers into making a faster decision on a purchase they’re considering. For instance, if you offer 50% off on certain goods during black Friday, then offer 60% off for an hour or two. Don’t forget to make sure your potential customers know that before it starts. 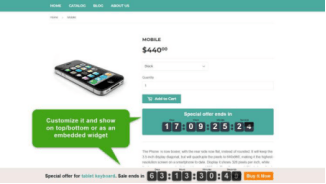 You can set a banner or a sales countdown timer on your homepage and do some other promoting activities. Christmas day is coming soon, how to choose gifts for loved ones could be a problem. At this time, the first thing comes to your mind must be searching on the internet. So, writing an article about gift guide on your blog may bring more traffic to your website. Offering coupons that can only be used when a customer spends a certain amount of money, which inspires people to buy much more goods to get discounts. Set free gifts and minimums, e.g. “who spending up to $60 in this shop can pick one of the following gifts. Don’t forget to let your potential customers know all these by putting all information on your homepage banner. How to Create a Shopify Coupon? If you have a customer list, send them emails with discount codes or coupons for additional savings. Since these people have bought something before, they’ll be more likely come back if discounts offered. However, they cannot just keep buying the same stuff, adding new products is also important which attract more newcomers at the same time. Before that, you can do some researches to make sure the new products you choose do have some followers. Then offer a sneak peek before the big day’s coming. If there are too many rules about discounts, some customers may get confused. Offer them a content calendar that marked all the discounts and new product updates so that they can know when they can buy their favorite goods at the lowest price. Create new graphics, banners and updating social media posts. Everyone loves a present because they don’t know what it is until the opening moment. Set a rule for that: e.g. customer who spends up to $100 will get a random mysterious present. Most of these presents are small low-cost stuff, but there should be a big one or two to attract more people to get involved and spend more money. Put a picture of the biggest prize on your homepage and in social media posts. On the Internet, the lack of speed kills your chances at a sale: 46% of shoppers have said they’ll never return to a slow website. 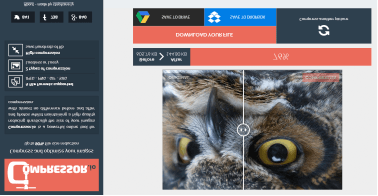 For image-heavy websites, use a tool like Compressor.io to cut down on load times. If your marketing plan goes well, there will be a crazily busy time. How to make it easier to organize your orders? You can’t just go to the courier official websites, check up your orders one by one. How to contact your customers when their parcels have some exceptional conditions? You probably have heard of third-party tracking tools, but which one should you choose? 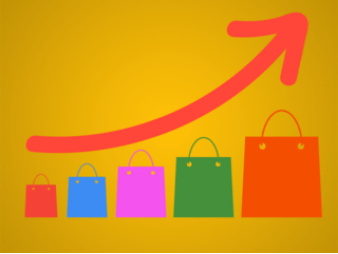 For those small or medium sellers, Trackingmore may be the best choice. 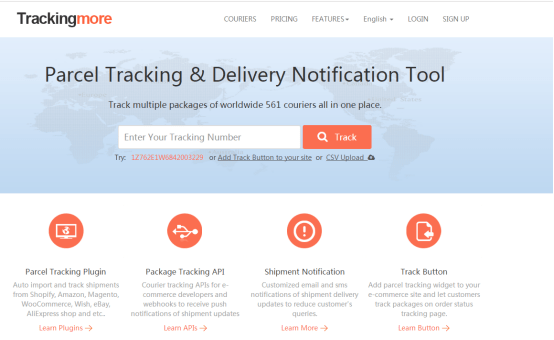 You can track multiple packages of worldwide 555 couriers all in one place. If you’re a Shopify seller, just connect your Trackingmore account to the shop, then you can check your orders there. Many other features, like notification, sending messages to customers will meet your needs, too. Enjoy your Black Friday! More than 500 couriers tracking services are available on Trackingmore although many of them only show shipment locations without the order’s status. So how do we classify all these into unified 7 status successfully? ▶ Not Found: There is no info for the Order Number. ▶ On transit: Your parcel is on its way. ▶ Arrived and To be delivered: Your parcel is being delivered. ▶ Failed delivery: Your parcel is delivered unsuccessfully. ▶ Collected successfully: Your parcel is collected successfully. ▶ Possible exception: Your parcel is possible returned or lost. ▶ Expired: Your parcel has been shipped for too long time and still has not been delivered. Although we’ve set up a keyword bank, there’s still a possibility that we could meet two keywords at the same time, i.e. both “Arrived and to be Delivered” and “Delivered Successfully”. If so, the shipment status is still seen as “Delivered Successfully” according to the Priorities of Shipment status above. As both“Node state” and “final state” are involved in the shipment status, a “node state” will come up by identified from the keyword bank while the “final state” is decided based on Priorities of Shipment status. 1. How to differ returned orders from normal ones? Returned order normally occurs with “customer refused”, “returned to shipper” or the like while there may be the words like “delivered successfully” at the same time. At this condition, in order to differentiate it from normal ones, we’ll mark the order as “possible exception”. If there are no words like “ returned to shipper”, but the parcel actually has been returned, we can tell the status by positions ( e.g. If a parcel is shipped from “Shandong Liaocheng Delivery Department” and collected at the same place, then there is a chance that it could be returned). As for international shipment, if the order is from China to the U.S. and collected in China or with the words like “import sealed” or “import opened” when transiting in China, it’s definitely returned. For instance, “delivered” stands for “the parcel has been collected” while “Will be delivered in 3 days” suggests an uncollected status. “Returned to the shipper” means the parcel is returned while “Will be returned to the shipper if nobody collects” refers to “arrived and to be collected” instead of returning to the shipper. Since various languages may appear in international delivery, it’s very important to perfect multi languages keywords bank for correct status identification. For example, “collecting “ in Chinese, English, German, Japanese and Russian are respectively“妥投”、“ delivered”、“zugestellt”、“お届け済み”、“ENTREGADO”、“Отправление доставлено”. As there is not a series of unified words for all those couriers, the same word may have different meanings. So correction for a single courier may be needed. E.g. The word “ delivered” may suggest that an order is just ready for the delivery in one courier’s information while the same word may mean “the parcel has been collected” by the addressee. First of all, good status auto-identification is based on enough data volume and continuously perfecting keyword bank. Second, we should consider that in which part of the work people can be replaced by machines? Why can an experienced delivery man tell the status after just one glance of the order and how does he make it? Could this be replaced by a machine? We provide one of the best status auto identification services after a three-year experience. Contact us if you have any problem about our tracking tool.